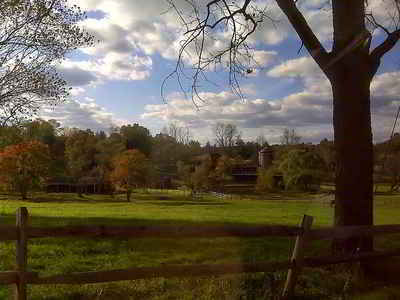 Allegany County is a county located in the northwestern part of the state of Maryland. As of the 2010 US Census, the population was 75,087. Its county seat is Cumberland. The name Allegany may come from a local Lenape word, welhik hane or oolikhanna, which means 'best flowing river of the hills' or 'beautiful stream'. A number of counties in the Appalachian region of the US are named Allegany, Allegheny, or Alleghany. Allegany County is part of the Cumberland, MD-WV Metropolitan Statistical Area. It is a part of the Western Maryland "panhandle". From the Lenape Indian word oolikhanna, which means "beautiful stream"
The western part of Maryland (including the present Allegany County) was originally part of Prince George's County when Maryland was formed in 1696. This county included six current counties, and by repeated splitting, new ones were generated: Frederick from Prince George's in 1748; and Montgomery and Washington from Frederick in 1776. Allegany County was formed in 1789 by the splitting of Washington County. At the time it was the westernmost county in Maryland, but a split in 1872 produced Garrett County, the current westernmost county. Prior to 1789, the Virginia Commonwealth claimed the area of present-day Garrett and Allegheny Counties, of Maryland. A 1771-1780 map of Virginias counties, shows Hampshire County, but the Virginia State boundary has Hampshire outside that boundary line. 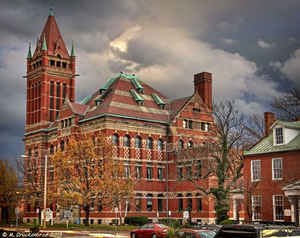 When conducting genealogical research, it is possible to find tax records for Hampshire County, Virginia included in Maryland records, and Maryland records in Hampshire County... Hampshire County was formed in 1758 by the Virginia Commonwealth and at its founding, included the present day counties of Garrett & Allegheny Counties in Maryland, and Hardy, Grant, Mineral, and part of Morgan Counties in what is now West Virginia. Ref. Virginia Counties Map of 1771-1780; Henry Howe's 1845 History of Virginia. Allegany County is often referred to as "Where the South Begins." As reported by the Census Bureau, the county has a total area of 430 square miles (1,100 km2), of which 424 square miles (1,100 km2) is land and 5.8 square miles (15 km2) (1.3%) is water. Allegany County lies primarily in the Ridge-and-Valley Country of the Appalachian Mountains. It is bordered to the north by the Mason - Dixon line with Pennsylvania, to the south by the Potomac River and West Virginia, to the east by Sideling Hill Creek and Washington County, Maryland, and to the west by a land border with Garrett County, Maryland. The western part of the county contains a portion of the steep Allegheny Front, which marks the transition to the higher-elevation Appalachian Plateau and Allegheny Mountain region. The town of Frostburg is located west of the Front at an elevation of nearly 2,100 feet above sea level, while the county seat of Cumberland, only eight miles away, has an elevation of only 627 feet. Northeast: Bedford County, Pa.; Fulton County, Pa.
East: Washington County; Morgan County, W.Va.